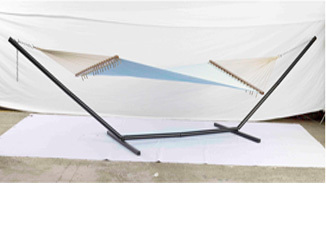 The Hammock is made from Top layer of Olefin Fabric and bottom with Polyester Fabric. Quilted with Polyester wadding, in between. Olefin is a fabric specially designed for outdoors. Can be made in single and double size, as required.